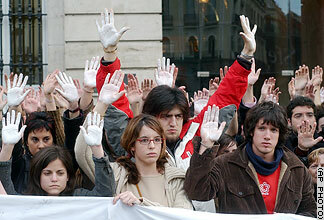 Demonstrators hold up their hands and call for an end to violence at a gathering in Seville. 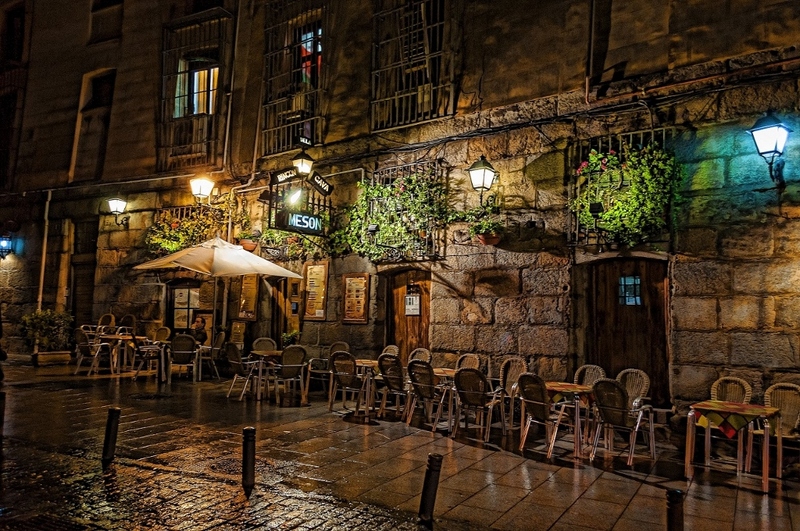 “This is part of settling old accounts with Spain, the crusader, and America’s ally in its war against Islam,” the claim said. The message, which the newspaper faxed to The Associated Press office in Cairo, Egypt, also warned the United States that another major strike was approaching. “We announce the good news for the Muslims in the world that the strike of the black wind of death, the expected strike against America, is now at its final stage — 90 percent ready — and it is coming soon, by God’s will,” the message said. This apparent disconnect led some Thursday to speculate that Islamic terrorist groups might be behind the blasts, perhaps striking a blow at Spain for its decision to support the U.S.-led invasion of Iraq, or angered by the fact that Spain has arrested more alleged al-Qaida operatives than any European country outside Germany and France. Certainly, viewed from the perspective of al-Qaida, a group that dwells on perceived injustices centuries past, striking at the nation that drove the Moors from Europe in 1492 would not be hard to justify.